The episode begins with the Doctor and Martha barely escaping the clutches of an unseen enemy. A frantic Doctor tells Martha she is the key to their escape just before the Doctor wakes up in his PJs with Martha bringing him breakfast in bed. No, Martha’s dreams haven’t come true, the Doctor has disguised himself as a human school teacher at an all boys boarding school on Earth in 1913. Now they must remain in hiding from the Family of Blood or all will be lost. But when the Doctor’s special watch gets stolen just when Martha needs her Doctor the most love is in the air between the human Doctor and the boarding school’s Matronly nurse. In the end the Family of Blood learns what the true rage of a Time Lord feels like and the Doctor breaks the heart of another blonde, all the while ignoring Martha. This weekend Jennie and Ben will be traveling north to experience the first ever (Re)Generation Who Convention, March 27th – 29th, and it will be a BLAST! 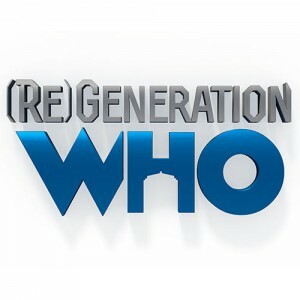 (Re)Generation Who is an awesome 3 day Doctor Who Fan Convention in Hunt Valley, MD run by Onezumi Events. These are the same folks who run Intervention, our favorite not-Doctor Who specific show of the year. The guest list this year is phenomenal, scheduled to appear are The Sixth Doctor Colin Baker, The Seventh Doctor Sylvester McCoy, The Fourth Doctor Tom Baker (Via Skype), Second Doctor Companion Deborah Watling, Patricia Quinn from “Dragonfire”, Fifth/Sixth Doctor Companion Nicola Bryant, Terry Molloy–Davros, Seventh Doctor Companion Sophie (Aldred) Henderson, and Colin Spaull–Mr. Crane; from “Rise of the Cybermen”. Not to mention rooms full of vendors and podcasters (like us). Playing Doctor Podcast will be in Artist Alley Area #2 at table #77 so be sure to look for our banner and stop by to talk to Jennie and Ben. They will be recording a live Playing Doctor Podcast on Saturday night and participating in lively Doctor Who discussions all weekend. 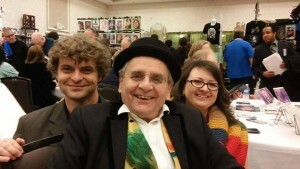 Come out and meet a few Doctors, Companions, and even Jennie & Ben. You will be very sad if you don’t.